After the rain on Sunday, we weren’t expecting a whole lot of activity on Monday. We were surprised! The crew put down big sheets of plywood to walk and drive wheelbarrows on so they could continue putting down the gravel over the drain lines. Yet another example of why we need the drainage lines. This trench didn’t have the drain line in it yet when it rained over the weekend. The contractor that will be building our classroom shade structure was also out here on Monday getting the positions for the posts marked. 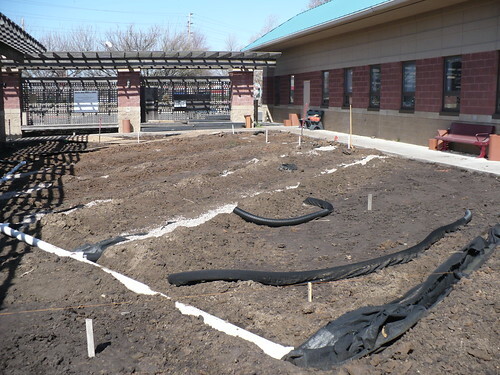 From the other side, you can see the solid white drain pipe that will carry the water away from the classroom area and the raised beds. 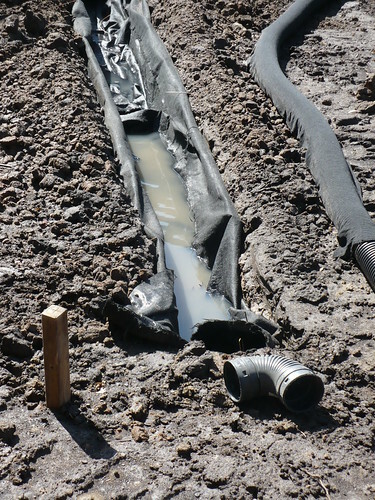 The drain lines are finished! 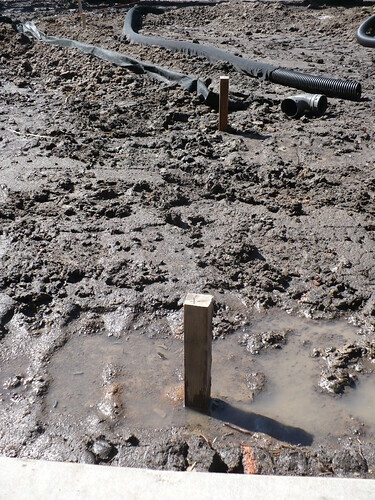 The white PVC pipes sticking up are the irrigation lines for the raised beds. They piled the extra dirt from the trenches through the middle of where the raised beds will be. It is interesting, because you can see that the top 3-6″ was nasty compacted clay, but the soil from below that is a fairly sandy soil. Probably a sandy clay loam. 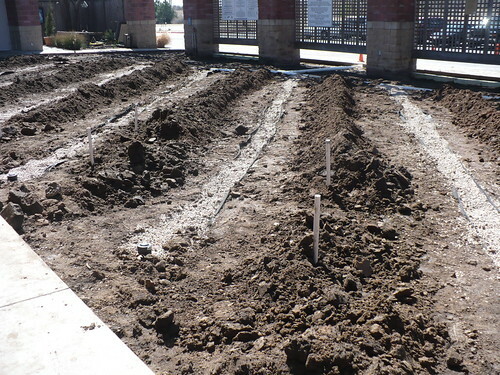 We will probably haul out the big chunks of compacted clay and then spread the rest of the soil for the bottom of the raised beds. 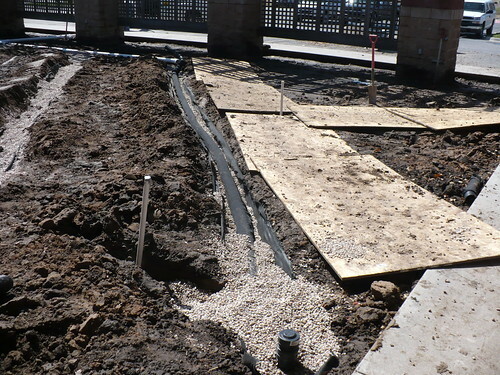 There will also be a couple more inches of gravel that will go over the whole walkway area once the beds are in place. Then the gravel will be covered with mulch. Posted on March 14, 2012, in Working in the Garden and tagged garden renovation. Bookmark the permalink. 1 Comment.